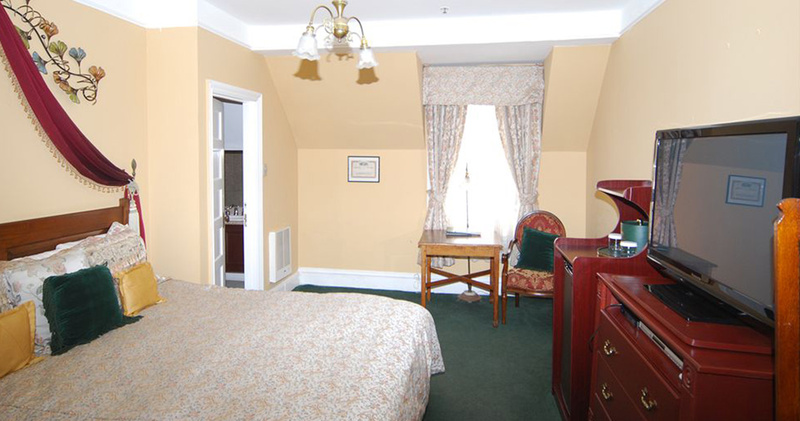 Reminiscent of the Gold Rush era, Queen Anne Hotel is a grand, elegant hotel in the Pacific Heights Neighborhood. Located in Pacific Heights, Queen Anne Hotel is a short walk away from Fisherman’s Wharf and Union Square. 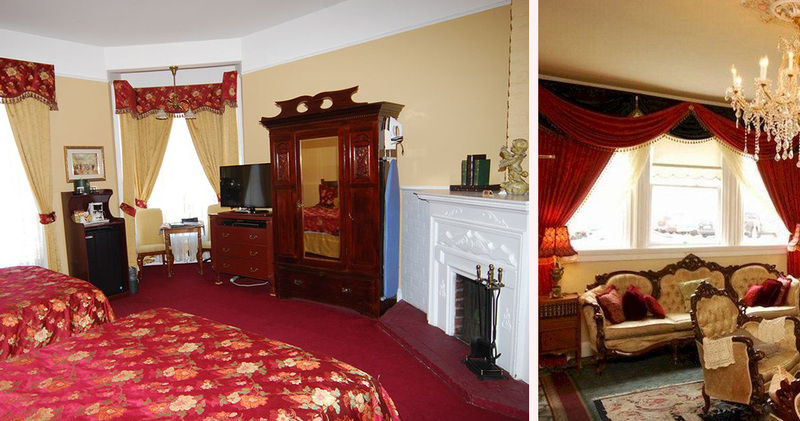 This historic hotel is housed in a beautiful mansion dating back to the 19th century. Its elaborate architecture oozes with grand style and timeless romance. Surrounded by charming Edwardian and Victorian mansions, the hotel features exquisite antiques and art. Complimentary breakfast is served each morning in the elegant salon, which features Victorian furnishings, chandeliers, medallions and rich burgundy and gold colors. Each evening, guests gather in the parlor for a sherry and tea service. 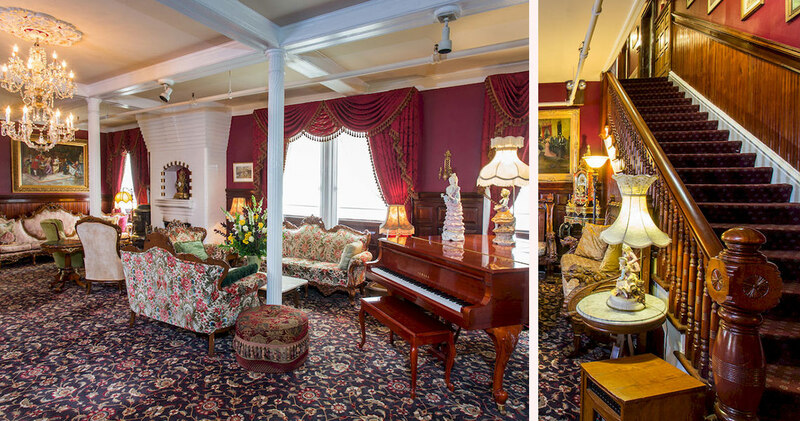 The elegant parlor features a baby grand piano, antique furnishings and roaring fireplaces. 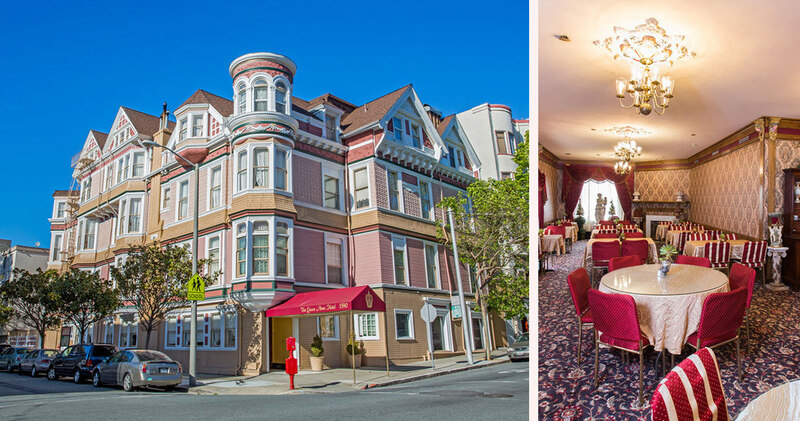 In 2015, Queen Anne Hotel San Francisco was awarded the TripAdvisor Certificate of Excellence. 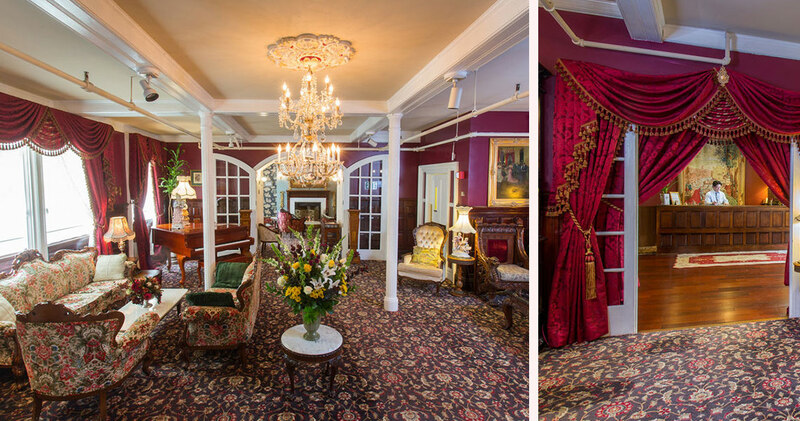 Stepping into the guestrooms of Queen Anne Hotel is like stepping into an enchanting Victorian mansion. 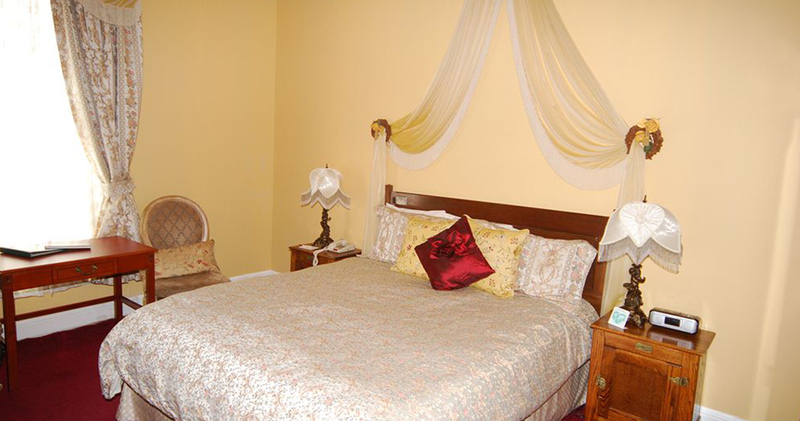 The rooms are furnished with antiques, heirloom furniture, thick carpets, elaborate mirrors and rich colors. 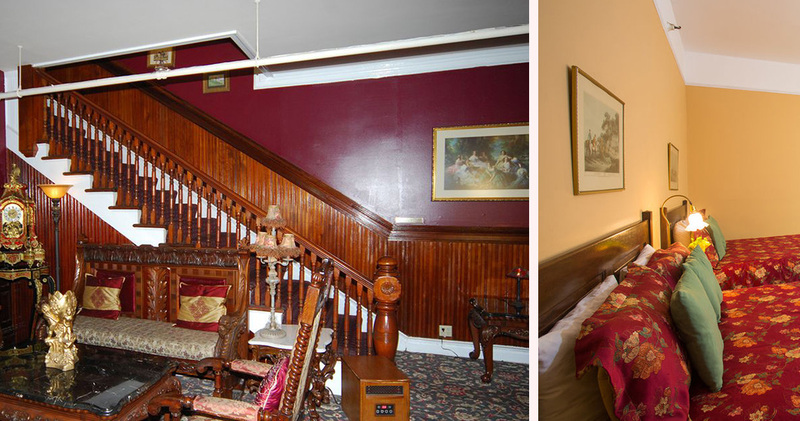 The decor exudes Victorian charm and romance while remaining inviting and comfortable. The large bay windows provide natural light and views of the neighborhood. Rooms feature comfortable armchairs, coffee tables and luxurious draperies. DirecTV is available too. 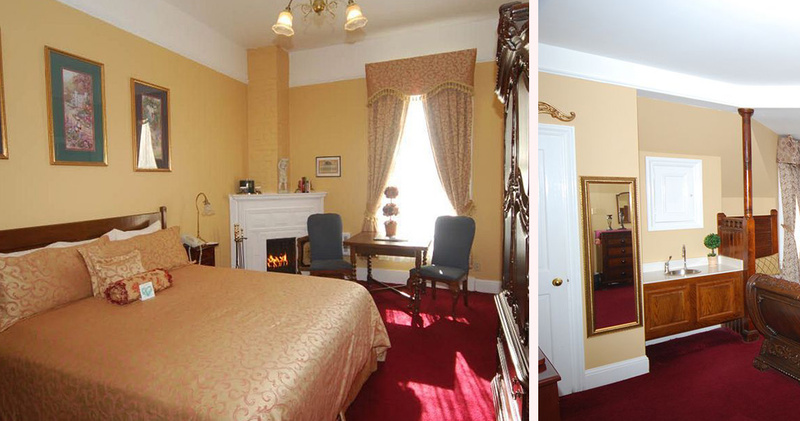 Queen Anne Hotel San Francisco also has spacious suites with fireplaces and separate parlors. The charming and well-appointed bathrooms feature deep tubs, luxurious shower curtains and artwork on the walls. 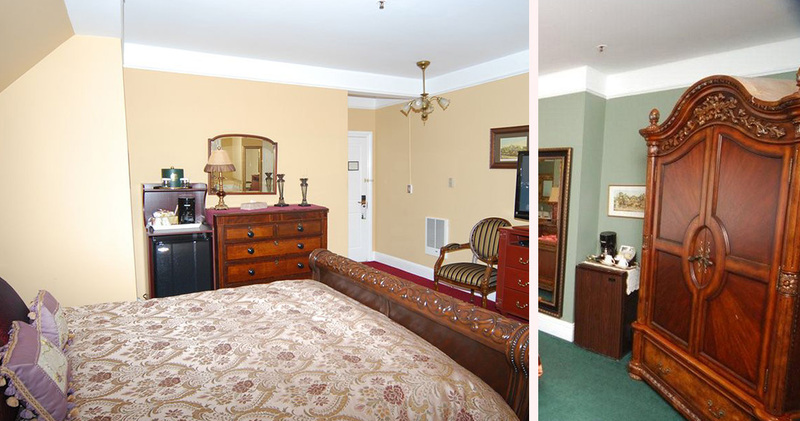 The Queen Anne Hotel serves its guests continental breakfast each morning in the salon. In the afternoon, guests can enjoy sherry and tea service. The neighborhood is home to several local favorites like Jitlada for Thai cuisine, Sweet Maple for brunch and Kiss Sushi for excellent sushi. Looking for a great place to eat? Check out our exclusive Top 10 List of San Francisco Food Bloggers, Restaurant Critics and Best Of Lists! Pacific Heights is the epitome of old-world elegance with Edwardian and Victorian homes, architectural grandeur and quiet streets. The neighborhood is known for upscale shopping, hip boutiques, cafes and antique shops. On Fillmore Street, visitors will be surrounded by designer shops like Dottie Doolittle, Elizabeth Charles and Erica Tanov. For dining, the neighborhood has a large selection of fine dining establishments along with tapas lounges and burger bars. Head over to the Presidio National Park for hiking trails, walking paths and beautiful views. Pacific Heights is home to a number of architectural icons like the Haas-Lilienthal Mansion and Spreckels Mansion.